A conversation ensued, but before we come to it, let me briefly state the historical context. Sirima Ratwatte Dias Bandaranaike was born on the 17th of April, 1916, exactly 100 years ago. As the world’s first female Prime Minister, a woman who served three terms as the Prime Minister of the country, the longest serving leader of the Sri Lanka Freedom Party, the wife of a Prime Minister and the mother of an Executive President with credentials as a strong and resourceful leader, her place in the history of post-Independence Sri Lanka is well-established. Her achievements and failures, the good and the bad, have been extensively written about and will probably be the subject of political commentary well into the future. This is not an article of that nature. It is essentially a report of her last political act which can be taken as symptomatic of the overall political culture of the country. That assessment we shall leave to the reader. What I am about to relate took place over two days, the first being the day before the 2005 Presidential Election and the second being election day itself. I was at the time working for the Ravaya newspaper. On the evening of the day before the election, the editor of Ravaya, Victor Ivan, and I were considering possible outcomes based on our assessment of the numbers that the two main candidates, Ranil Wickremesinghe and Mahinda Rajapaksa, were likely to poll in different provinces and districts. It was in the midst of these calculations that Sunethra Bandaranaike called me. “We are still calculating. However even in the worst case scenario Ranil Wickremesinghe is the winner, noh?” that was my response. So I went to her residence and we considered different scenarios and made relevant forecasts. She wanted me to write them all down. I did so. She asked me what I was going to do the following day and said “I am going to bed now, I have to wake up early and go vote with my brother and sister”. That would be Anura and Chandrika. At this point I asked her why the three of them were so eager to wake up early to vote for Ranil Wickremesinghe. I added, “Even Sirima voted for the UNP and died the same day!” I was repeating a rumour I had heard four years before that. “Show some respect and call her Sirimavo or Mrs. B,” Sunethra said. “Ok, ok, ok…calm down… she anyway died after voting for the UNP noh?” I asked. Then she related what had happened on the 10th of October, 2000, the date of the General Election. I then said “There you go, that’s why I said your mother voted for the UNP”. According to the voting system, one has to first vote for the party and then mark one’s preference for a candidate. “Don’t interpret it like that,” Sunethra said, and explained, “That’s the love a mother has for her son”. This was how Sunethra Bandaranaike confirmed the rumour about the last time her mother cast a vote, which turned out to be her last political act. The piece of information of course was interesting, but what intrigued me more was the nuances of this game of politics and what a strong factor nepotism is. Sirima, after all, was at that very moment the leader of the Sri Lanka Freedom Party and yet she voted for the United National Party since she wanted to mark a preferential vote for her son! Her last political act, was clearly nepotistic. Party loyalty, party leadership, ideological position etc., were obviously less important to her. Of course, one can argue that by that time Sirima was only leader in name and that it was Chandrika who ran the party, but still, we are talking about a key political personality in the post-Independence history of the country and not the figurehead of a marginal political entity. The following morning Sunethra called me again. “Mama mallith ekka chande dande yanawa. Mallita oyath ekka katha karanna oneylu (my brother and I are going to cast our votes. He wishes to speak with you) can I pass the phone to him?”. I said “OK no problem”. “Mama oyage analysis eka kiyewwa (I read your analysis) and it is correct. Esayma weva kiyala mama prarthawa karanawa (I wish your prediction will come true),” he said. In October 2000, Sirima Bandaranaike, while being leader of the SLFP, voted for the UNP. In 2005, her son Anura, although a leading member of the SLFP, also voted for the Presidential candidate of the opposition UNP! Ironically, Sirima’s husband SWRD Bandaranaike formed the SLFP after breaking away from the UNP. Let me repeat. As we commemorate the birth centenary of Sirima Ratwatte Dias Bandaranaike, there will be commentary on her leadership qualities and her place in history, the good, the bad and the ugly and so on. Here, we focus on two things only. First, the establishment of the truth of her last political act while the sources of the story are still alive (at this point myself and Sunethra, who by the way has not responded to several attempts to contact her regarding this article). Secondly and more importantly, the fact that family ties, maternal/paternal love and other such ties associated with nepotism are overriding factors in Sri Lanka’s political culture. Sirima, we all know, entered politics because she was the widow of a politician. Nepotism was affirmed by the rank and file of her late husband’s party when the time came to elect a successor. Some may claim she was indeed a better leader than her husband, but that’s irrelevant here. What is relevant is that she nurtured her children, Chandrika and Anura, to take over the party leadership. She was strongly motivated to turn the SLFP into a family fiefdom, a charge that her daughter Chandrika ironically levels at Mahinda Rajapaksa, the man that Anura and Sunethra and perhaps Chandrika voted against in 2005. Sirima held the party leadership for over 50 years, i.e until she died. What Mahinda Rajapaksa did, one can argue, was take nepotism to a level that the people just couldn’t bear. Doing away with nepotism, one might remember, was one of the major slogans in the anti-Rajapaksa campaign. The mainstream media, for reasons best known to its commanding personalities, did not raise the issue of nepotism. It was raised by websites banned by the Rajapaksa regime and by social media activists. This is why, as a consumer of social media, I can say that the brand of nepotism displayed by Maithripala Sirisena and Ranil Wickremesinghe’s tendency to appoint friends and donors to key positions is far more corrupting than that of the Rajapaksas or Bandaranaikes, because they came to power promising to end nepotism. Sirima will no doubt be showered with accolades and she will also have her fair share of critics. The problem is that she may be dead and gone, but nepotism lives and thrives. This is why it would be prudent for Sirisena and Wickeremesinghe to read the recommendations of Presidential Commission on Youth Unrest, published in 1990. The youth of today are not going to be as tolerant as the generations that came before. Fred Truman had nasty things to say about Indian/Pakistan/Ceylon. He alone gave you that stupid independence. he did not fight WW2 but Roosevelt the wise one. Truman was just another English Pirate who dropped the bomb made by Roosvelt. UK is different.- thank the lord. Lanka is amma nathnam tattha government both the amma and tattha are for their family nepotism. No wonder Lankians talk of sovereignty and take ownership of the citizens. I do not for one moment believe that Ceylon was a democracy from 48.- the 3rd world communist/fascist. shape shape culture. Boris Johnson and Donald Trump are unique 2 in this world with no strings attached. In politics one has to die to hear their darker side. If in my imagination I came to power the first thing I would is destroy all the statutes of the politicians in the island and having accomplished it would resign from politics. if one has to die to be honoured then i can wait. 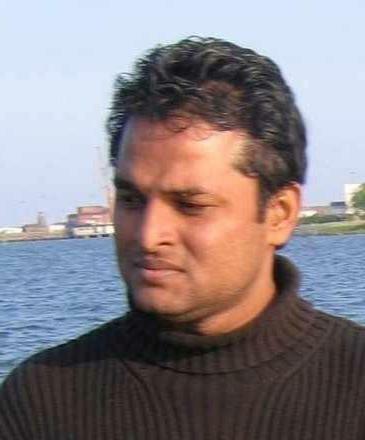 Well Done Uvindu Kurukulasuriya –hats off to you have demonstrated your emblem- truth is a process. But CBK would repeat what her mum did because it runs in the genes.- we came from north india Muslim territory from the dawn of islam. Uvindu, we need conceptual thinking and a deconstruction of so-called political party unity and the need to clean up and BREAK UP political parties that are corrupt to the core in order to build a new political culture in Sri Lanka. Everyone seems to think that political party unity is a good thing, but in fact political parties are corrupt and stinking outfits that need to be broken up and cleansed of the corrupt. Going on about your conversations with Sunethra is really beside the point. This website is very disappointing these days CT Editors! Facts always cherish the soul. CBK padda what is the commission?? This is the classic case of tribalism and much common among Sinhala/Buddhists. Their loyalty is limited to their immediate family, loyalty to country, people. party, …. seem non-existent or not in the list of priorities. The information in the article is surprising and can be true. I refered the articles in the web to check the dates and there is no contradiction with the dates published in the article. However, the story will not be complete to say that the son was suspended from the party by his own mother as the leader of the party which prompted the son to cross to the opposing side of politics. (Reference web articles). Again was it due to a family feud? What made the son join ranks with the sister back again in 2001? What made the sister to take decisions that caused Mahinda’s elevation to throw away from the promised Prime Ministership to Anura? The remainder of the Banadaranaike family worked hard for the prevention of Mahinda’s third term and voted perhaps for the UNP in subsequent elections. But again it is Chandrika who stifled Ranil’s Prime Ministership during 2001 to 2004 and finally dissolved Parliament which paved way for Mahinda to become President. Why? Well all this is contemporary history full of family bandysm and opportunity within that framework. These are the results of the 2010 elections, which I remember very well, because I had decided to vote first for two candidates of unquestioned integrity and then for the “civilian”, Mahinda Rajapaksa. I changed my mind at the last day, and voted for A.A. Suraweera instead of Mahindaa Rajapaksa, who I also felt was honest, as my third candidate. This sort of action in voting is regarded by some as “spoiling” one’s vote, but really, I was trying to send the message that I was dissatisfied with both the major candidates. Nineteen candidates there were; some may have been guys honestly trying to say something serious. This time I couldn’t be bothered with them or with the million MaRa cutouts and posters to be seen everywhere. I was voting for change! That just shows that all our efforts to get the simplest message across is extremely difficult. Uvindu K. has chosen to present us with something even simpler; let’s hope that it is remembered clearly by the few people who read CT at least! What he says is true. Certain things are known in the cinnamon gardens enclave. We lived there before them and have personal experience of leaders of both political party leaders but non political and he worked there. When info gets transmitted it gets distorted and info is also doctored.- he got it from the horses mouth and we had it too. You mean from “the mare’s mouth,” don’t you? Thanks for ALL your comments! That Troll is at it again today!! May truth and Justice prevail! It was the handy work of the Hindians, who feared Ranil’s international safety net against LTTE. By the time RW was sacked the Hindians had already decided to destroy LTTE, and Chandrika agreed with them. The youth of today are the children/brothers/sisters of survivors of two insurrections and one civil war – both from the society , and from the armed forces. They know the history of all three. They are busy trying to survive in universities and outside in the ‘job market’ as best as they can, and are resigned to corrupt and nepotistic regimes. Some who have the means, are trying to escape from Sri Lanka. They know that this regime will brook no nonsense and that the police and army will not be tolerant to any youth unrest. process which has been refined over decades. The new constitution will strengthen the present PTA. and ‘rehabilitation’ will be far worse than now. Giving jobs/positions/means/money to family and friends is usual in eastern and even western countries – there are no ‘saints’ in politics, or outside, now. Reports of myriad ‘commissions’ are gathering dust in many places. Very few read them, and those who do, forget what they say, or even twist the conclusions as being anti-national – like the UNHRC resolution. Mrs.B lived in a different era, and survived due to her kinsman Felix Dias. I am no fan of Chandrika, but she is one of the very few politicians who gave her children a “real” education where they have the ability to go out and earn a honest living. Almost all other politicians train their offspring to do what they do and become parasites on the public purse. Sure, Sirisena and Arjuna shouldn’t have appointed their brothers and Ranil shouldn’t have appointed SOME (not all are bad; you ought to know the person you appoint) unsuitable friends/acquaintances. But in Sri Lanka, who can you appoint? When there was a hue and cry about Sirisena bringing in defeated candidates through the back door, I went and put together an alternative National List – not in any way to defend Sirisena’s action but as an objective realist to look at the alternatives – and some of the people in it were DEW, GL, Tissa V. …… What is worse, politicians who lose or politicians who are unable to contest an election because they are sure to lose? Take your pick. When there is a dearth of suitable people in SL, who do you appoint to positions of responsibility? Perhaps, we should bring them from outside – like the only time SL airlines made a profit was when it was administered by a foreign CEO; some food for thought. Our biggest problem is nothing but too many politicians. Hence too much “politics.” That’s it. The country’s main objective now should be to cut down on the number of politicians and impose some form of term limits. Guys like you who set – at least attempt to – the public opinion must put it out there for the people to catch-on as a matter of priority. I am sure there will be overwhelming support. The new constitution is nothing but hogwash. I am no soothsayer but even I can predict it’s not going to do a thing. First, Mahinda regime – and many others before and since – broke the rules/regulations at will; anything embedded in a constitution didn’t stop them. Secondly, Nigeria in the 70s adopted the American constitution word for word and a world of good it did them. You can’t impose a constitution on people who don’t comprehend it. Try imposing a constitution on monkeys. All Lankans have a duality, more so with the ones who have gone to some “renowned” universities – this was true of SWRD, Atulathmudali et al and all current players – because of our colonial past and automatic respect for anything “White” ( let’s be realistic here and have the courage to face the truth; why do Lankans (Mahinda or many other professed “villagers”) send their children to the “village” schools? To teach them Lankan culture?) At one end there is a grand facade of mimicry/aping of the White-man in language, dress, mannerisms, a sort of “out of body experience” which is not inbuilt. At the other end, at the core, it’s a Sinhala-Buddhist/Tamil-Hindu pre-historic mindset. Totally separate, there is no connect between the two entities of the duality. One can instantly change from one to the other without even knowing. One doesn’t have to guess too hard to know, in a crunch, which end of the duality we take refuge in. In spite of the best efforts of the best “educational institutions” around the globe, the modern 21st century Lankan man is not going to arrive anytime soon. The End of History is not as near as one might think. Many thanks. I could not have been said better. Polticians and politics are our cancer. They in combination have eroded the vitals of this country to the extent that I lament whether we would ever find a cure. We have made too many deals and compromises with the devils and they reside within us and everything that governs our lives now-cradle to the grave! Very soon we will not be able to differentiate between the wrong and the right at all! Hmmm interesting. I cannot think of any time in our contemporary history where we knew right from wrong. WE knew right from wrong. Its just a relative thing for all. It is the duality thing that Uvindu talks about brother Marrikar. We know what is right but choose to do wrong. They wave the blue flag and vote for the green flag. This is the lesser of the evils. All know before hand that all flag bearers are rogues. The worst are those that chant ‘metta, karuna’ in all respectful myopic holiness and at the very next moment pull out a sword and plunge it into the minority community. Nimal Fernando; nicely said. I concur. I would just add that if we could purge out the 80?% of our politicians who are not fit for purpose, then there is a very high probability that the vacuum will be filled by honest and competent people, who in present circumstances will not have anything to do with politics. Added to that, if political parties will only put in system to raise the quality of the people they nominate for election, and for the national list. Note: being the local thug, or the richest crook in town is NOT a qualification for high office. What a shame when you pray at night saying the same thing O lord keep them away When that event itself is a national pastime and does never materialise. When you learnt bread and wine from the catholic brothers did they not tell you to `reflect` about the day before you count sheep? She went at the cost of taxpayer and to top it picked up the plum nomination’ reserved for the nations best. her children did the same. white collar thug we read your character and idiot Naren’s below. Nowhere in the piece it is implied that CBK had an education good enough for her to go out and earn a honest living; it’s about her children. Your gold-plated “non-free” education at least should have endowed you with the ability to comprehend what you are reading. Perhaps, you should go back and take some of your former teachers/profs to task; suicide-bomb them. They have wasted your money. Why, did her eldest child buy into Cambridge? Perhaps, you have an inside line in to Cambridge, so why don’t you enlightened us? I have it from good authority that she got very high marks in the London A/L. Sorry to disappoint you Buddy, I never went to school; free or paid. I am self-taught. My education is from the streets. Anyway what’s wrong with free education? There are many people around the globe doing very well who have had free-education in Lanka. Great, you should start your own TV show reading people! I am sure you’ll be better at it than whatever you are doing now. Ha ha ha I’ve been called many things, but gotta admit that’s novel. Like the good man said, call me any name you like I’ll never deny it. I read you between the lines street walke- about watti amma CBK. bomb – that is your profession because all you do is write and write- untill you become a puddhu philosopher. Even cafe boys son in the uk goes to Cambridge and he drops out then becomes a courier boy and climbs in the real world of american philosophy-100 years before bill gates. when I get tired I go for a stroll and observe people pass by and its not normal thing I do. If you are imagining that this guy does not know the streets of the world keep dreaming- i traveled 50 years world wide from my childhood as bag packer. Free education went into the hands of the wrong people- I was studying there when the take over took place. there were 2 of us who paid while the others were converts and did not. They may have got other jobs but only the 3 of us became professional engg both in industry and topping batches. Nimal please, don’t be like Premadasa the bully by walking and talking. from extrusions I am into layering from silica- high tech. TV I don’t need it because one family member was.We are big family of professionals and each is independent. remember this my friend – the greatest happiness is in the movement of the bowels. Buddy, sorry to have touched such a raw nerve! Phew! Didn’t know you could articulate your thoughts so brilliantly and succinctly. I am lost for words. Totally. With people like you how can/did Sri Lanka ever go wrong? Here’s wishing you all the best in the service of motherland. If a message posted is understood that is the main thing on these forums-and anyone who can merely highlight spelling mistakes and highlight grammatical errors needs to get a life. Old adage- Can take a horse to water…..
non can make you understand but one has to learn. I consider the education of our `senses and emotions` rather more important than the `education of our ideas`. that is where you wrong- frequent sarcasm perhaps the street walks. Life is too short to run away. as you know I shall not visit and in this age of communication one need not. Neither am I a regular on this. Nice talking to you and I hope you learnt something because we never stop learning. I always forgive but don’t forget the lesson of experience. during her era was ours too and anyone who got 4 F’s at GCE/AL lanka and had the money went over to Hong kong and sat the GCE/AL Uk got 4 A’s – fact from the 70’s. You know Gaddafi son’s and Uk qualification fiasco Its all the same doctored. Hers is arts that makes it even easy. But if she came merit first then it’s business like LKY and wife Choo both at Law Cambridge. i have many friends who are profs at UCL etc we discuss these things. The way she has governed is the proof of the pudding- Badagini mariyan puthe. “The mainstream media, for reasons best known to its commanding personalities, did not raise the issue of nepotism. It was raised by websites banned by the Rajapaksa regime and by social media activists. This is why, as a consumer of social media, I can say that the brand of nepotism displayed by Maithripala Sirisena and Ranil Wickremesinghe’s tendency to appoint friends and donors to key positions is far more corrupting than that of the Rajapaksas or Bandaranaikes, because they came to power promising to end nepotism”. Time for ALL (including MS and RW) to re-evaluate??? Thank you Uvindu for this great expose. What a sham! Now prepare yourself for a barrage of arrows from Siri Mao’s ardent admirers who can only boast of her being ‘the world first woman PM’ as Silly Lanka’s greatest achievement,even surpassing this womans promise to get down rice from the moon to feed her starving people. Nearly fifty years later, the country can boast of yet another first in the world -that of being the greatest exporter of housemaids to clean the toilets of the rich arrogant and lecherous arabs. This, perhaps is the greatest legacy of the selfish power hungry family politics played in part by the ‘great’ Siri Mao. And remember, Uvindu boy, don’t you ever call her simply Sirima again. These are the very people that talked about the “Uncle Nephew Party” in days gone by! They took nepotism another step farther and their successors outdid them! When and where (IF AT ALL) will it end? Whatever her weaknesses may have been, Mrs. B will go down in history due to her land Reform initiative under which, original Sri Lankans got their land back from the mulatto ‘nedayos’ of Portuguese, Dutch and British colonial invaders including other vagabonds who had come in their ships. The only mistake she made was allowing these thieves to keep 50 Acres. they are not entitled to wn even an inch of our land. Some thieves are still fraudulently claiming government subsidies on these lands as Minister Kiriella revelared recently. It was better in the hands of the colonial thieves , than her government’s appointed thieves , they simply ran it to the ground. You can’t deny that . Sirimavo Ratwatte married into the Maha Mudliyar Bandaranaike dynasty. Pappa Solomon had Gov. WEST RIDGEWAY as Godfather to little Solomon West Ridgeway D-B. You cannot get more sycophantic than that to the old massah, ha. The Bandaranaike’s and the Ratwatte were, among others, enablers. They delivered our Sinhalese community to the colonial masters in exchange for many goodies. Sirimavo herself was sent to be educated by servants of the Good Shepherd order. Saint Bridget herself would have been proud of the girl. The Ratwatte’s may have been Buddhists but they knew where to get a good catholic education. When the home-tutored ‘Anglican’ SWRD was ready, he was sent off to the old country where places were reserved for those who helped the colonial masters. He never forgot the way he was treated as a WOG in the City of Dreaming Spires. When the old massah left, SWRD was frustrated by Dudley and JR. Dammit, he was entitled to the throne. Like JR, he knew how to get his clammy hands around the rabid scrote of the Bauddha-Sinhala electorate. The rest is history. Sirimavo was elected Prime Minister not because of the quality of her JSC education; it was because she was hijacked as a totem by a bunch of manipulators who capitalised on her emotional appeal to the sheepish rump of the Bauddha-Sinhala electorate. Then when the rabid leftist lot jumped aboard in the seventies it was showtime for poor Sri Lanka. Fond memories of families queueing in the dawn gloom for a loaf of bread. Bodies floating the rivers and streams of this land like no other. Exit visas. Begging letters to our foreign ‘friends’. BMICH! Anyone for tennis? Never mind taking back the land from the foreigners, it was because politicians of the Bandaranaike ilk that we have thousands of Sinhalese still leaving for opportunities in foreign climes. AND, this is not counting the thousands of decent people of the minority communities who we managed to elbow out. The problem still exists it seems. There are too many Sinhalese ready to blame someone else for the misfortunes they brought upon themselves by falling prey to the string of devious Sinhalese politicians who buggered democracy to bring hell to this land. Mrs B is then a traitor to her own kind, having got the land from the suddhas for loyal service. Mrs. Bandaranaike’s mother was a Mahawalatenna, a direct descendant of the Quisling Mahawalatenna Mohottala, who was one of Governor Brownrigg’s stooges. In Uva, salt had to be transported from Palatupana by ox-cart. There was a cattle department for this purpose called the Gon Badda. Brownrigg appointed Mahawalatenna as chief of the Gon Badda. The British soldiers needed large supplies of beef. The Sinhalese refused to sell their cattle for slaughter. Mahawalatenna undertook to supply animals from Sabaragamuwa. This Mahawalatenna took a prominent part in a pro-British agitation in Sabaragamuwa. He colluded with the collector at Galle to aid an army division to march on Uva where the Sinhalese chiefs were fighting to get rid of the British. Transport for this division was provided by Mahawalatenna and a supply depot was set up by him at Batugedera to which stores could be conveyed by water from Kalutara. Vast acres of land in Balangoda, confiscated from the people, were gifted to Mahawalatenna for his many acts of treachery to his country. So much for the distaff side. Chandrika’s paternal ancestors were no better. Their direct paternal ancestor was a Tamil from South India called Neelaperumal who arrived in the island in the early 16th century. He became kapurala in Nawagamuwe Devale. The Bandaranaikes originally had the family name Kalukapuge, but later adopted the name of Bandara Nayake which was the title of an office held by devale chiefs. The Bandara Nayakes became prominent when in 1760, the original Mudaliyars serving the Dutch deserted their posts and joined the king in Kandy to drive the Dutch out of the country. Don Francisco Dias Wijetunge Bandaranayake volunteered to serve the Dutch and was made Mudaliyar of the four pattus. Don Francisco’s fifth son Daniel became Muhanduiram of Siyane Korale. Daniel’s son Don Solomon Dias Bandaranayake became Mudaliyar of Siyane Korale. It was this Bandaranayake who, finding that his British masters could not pronounce the last three syllables of his name NA-YA-KA, which they pronounced in two syllables NAI-KEY to rhyme with crikey and psyche, to help his masters decided to spell his name the way they pronounced it! From then on the family name became Bandaranaike. It was this first Bandaranaike who was given a gift of 180 acres of land in Siyane Korale plundered by the British from the people, as a reward for having provided ox-carts and drivers to carry supplies to the British lines in the 1818 uprising by Keppetipola. This Bandaranaike’s grandson was Sir Solomon Dias Bandaranaike who suffered from the delusion that he was an English gentleman. He was the father of SWRD. SWRD was born a Christian, was brought up as a Christian and when, in due course, he lay dying, he called for a Christian priest to grant him absolution before he went to meet his Maker. He was not cremated as all Buddhists are, he was buried because Christians believe they will rise from their graves on Judgment Day. But during the period he was engaged in politics SWRD became a Buddhist, which he perceived as a vital step on his way to becoming prime minister. During the short period he was prime minister there were, for the first time in our history, several racial riots and murders of innocent men and women, as a consequence of the policies he followed. 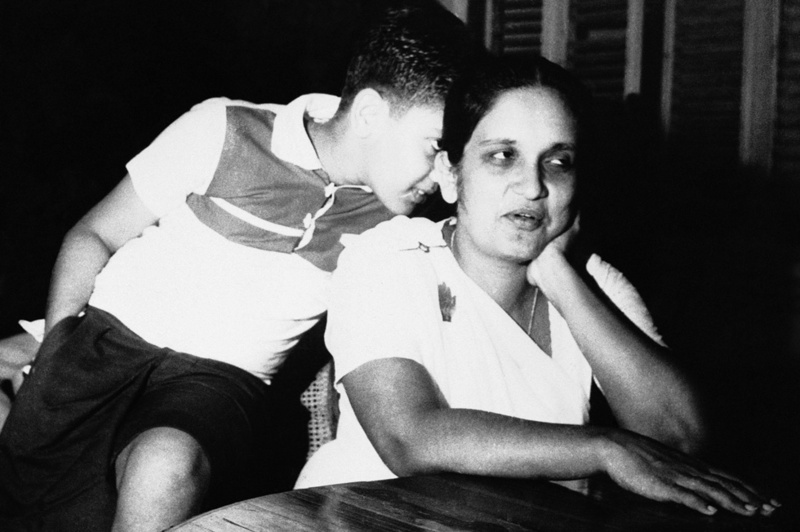 His widow, Mrs. Bandaranaike did not know much about what was going on, but managed to acquire a name for efficient governance with the help of Felix Dias. She nationalised everything in sight to please her leftist ministers. She banned the teaching of history in our schools at the behest of Badiudin Mahmud who did not want our children to know the truth about our history. Thus, our country is the only one in the whole world whose children are not permitted to know the history of their country. Mrs. Bandaranaike prohibited parents from sending their children abroad for higher studies. Her own three children were excluded from this ban. LOL, LOL, LOL,ORIGINAL SRI LANKANS? I have reservations about making private conversations public . Nevertheless , I think the lady took nepotism to another level with her appointments . You only had to be a ‘ Ratwatte ‘ to get a plum position during her reign . Aesop’s: the king has donkeys ears. Politicians are the paid servants of the state and have a duty to perform. I don’t vote for my MP but when I send him an e-mail at 8am I get a response from from him that he has attended to my request. the relevant dept calls me back in 2 days. That is what democracy is in a multiparty system not kissing saffron clad thugs feet. you got many things to hide and fear your own shadow- you should be disfranchised. So Bush tried to be king and called over at london where all the roads were blocked for 4 hours and he went back with his tail between his legs. Now Jeb Bush asked just one word from Trump how would you handle Putin. Putin sent a flying kiss to Trump and Jeb went into the arms of his Mexican wife- he wont be back. Same goes to your stupid hillary she is struggling and barry has come to help her having said no as its his final. Western democracy has its way you are just dogged in a world of master sir. @stungun, what you mean by ‘world of master’? In the case of Maithripala Sirisena and Ranil Wickremesinghe nepotism is not a tendency but deliberate policy. Nepotism can be explained. Since Politics has become an occupation, the desire for offspring to follow occupational tradition of the family and desire of parents to perpetuate family tradition is natural. It explains Sirimavo’s preference for her prodigal son. Maithripala and Ranil who clung to the saffron robe of Sobhitha thero and promised reforms are different. What should we call them? Mrs Sirima Bandaranaike chose her son over the SLFP. That should be the heading. But if that was the way to frame this article then it would be obvious that a mother would choose her son. A persons vote is a private matter. The only reason we know who she voted for is because she was invalid and needed help in the voting booth. To take this twist it and smear her good name is disgusting. JR went to the extent of stripping her CIVIC rights,ostensibly,on the grounds of Abuse of Power! Mrs.B.ofcourse,would have never stooped to such political revenge on her opponents! I want to add a couple of notes to Uvindu Kurikulasuriya’s interesting article. Somewhere in the late 1980’s, I was attending a meeting at the Executive Office of the American Ambassador at the Colombo chancery with another couple of US foreign service officers. One of the issues came up was who will lead Sri Lanka in the next decade or two. Lalith and Gamini’s names came forward, and there was a consensus among American officials, including the ambassador, that the possibility of Anura becoming the nation’s leader in coming decades. I was at this meeting in the capacity of the U.S. diplomatic mission’s political specialist, and I immediately said it could be Chandrika. Everyone laughed at me, and one FSO said that Chandrika has fled the country after Vijaya’s assassination and that she is out of active politics. I told what Mrs. Bandaranaike told me: that, out of the three children, Chandrika’s horoscope was the most powerful. One could review the events that took place when Mrs. B was promoting Chandrika within the SLFP. She did not really flea the country she came to moorfields for a cosmetic lens (I have met her surgeon and the man who makes it by hand. On top of it she has created millionaires of her Sinhalese clan in the UK via political appointments in the UK. Hillary said the same after Libya debacle and the witch is back. When will you understand woman O woman in power. 3rd world is not smart enough to find right balance for progress. See Trump win and the economic progress. This article’s main point is that Anura, Chandrika and Sunetra voted for RW in 2005 when, based on party allegiance, they should have voted for MR. I say it because Mrs B voting for Anura is not surprising; it is not nepotism, but plainly a mother’s natural behaviour. Mind you, I am no admirer of Mrs. B – see my previous comment on the article by Jehan Perera. Obviously Uvindu is convinced that Sunetra does not want to take any part in this discussion, which is fully reasonable now because she is not involved in politics anymore. In the conversations of the day before the 2005 elections that Uvindu has cited, there is nothing to say that Sunetra divulged her voting intentions to Uvindu. Uvindu, convinced that Sunetra will not join this discussion, has implied (while refraining from directly saying it) that Sunetra et al. voted for RW in 2005. Uvindu here violates the basic right of a voter in a democracy, i.e the secret ballot. The person who, according to Uvindu, had expressed his hope that RW would win, is no more. It is downright gutter journalism to cite a dead person, knowing very well that the living witness (Sunetra) will not take part in this discussion. Uvindu’s disregard of ethics is unbelievable. This is the problem with journalism in SL. Those who claim to be the leading lights in the field are total nobodies who leave much to speculation. It is because of such practices that our leading journalists engage in, that journalism in SL, and therefore politics in SL, has dropped to such low levels. I greatly admire Colombo Telegraph, and therefore, am much disappointed that a person like Uvindu has stooped to this low level. What the writer of the article really wants is to attack RW for some of the appointments he has made. But RW deserves a chance because UNP when it took certain powers ultimately, it had lost almost all leadership and strong party members it created during JR’s period. The writers allegations would only justify if and when those appointed by RW would engage in those nefarious activities as those by appointees of MR. As long as they perform the duties required of them it will be ok for the moment. How about the old lady declared war against imperialists and then send all 3 of her children to study in the UK and France.. what a shame? Also the govt take over of press institutions like the Times, Lake house and control of state media to a level disgusting to the core. Please note further justification of such hypocritical actions can be obtained from SJ/sekere and other nationalists of Mao variety. Respect is something that is properly earned; Not demanded. Sad because MR loved and adored Mrs. B and was very angry that they undercut him even though unlike Chandrika madam and Anura B he stood by the party all along at various times undercut Mrs B. Now Eelam tamils hate MR for other reasons and but in 2005 that was different. RW lost because Eelam Tamils Facist Tigers blocked innocent Tamils from voting. (there was never any democracy in Eelam areas nor would there ever have been freedom if Eelam was achieved for innocent tamils to cast their votes and choose their leaders). But to get back to 2005 everyone who was loyal to Mrs. B apparently voted for MR because party came first. That is why MR was very angry because Chandrika madam’ss usual plotting failed. In 2010 she cynically backed Sarath Fonseka after misreading the tea leaves and invited him to Horogolla Walawwa. That too backfired because everyone knew that Sarath Fonseka was never going to defeat MR. But this is t he same Chandrika madam who called SF a cad who wanted her seat and refused to give him the extension he desperately seeked. If he was given the extension he would have helped he defeat the LTTE. He was the best General the Army ever produced and people who tried to help him were again blackguarded by CBK’s emissaries in 2004 including some of her loyal cousins who were given jobs only because of loyalty to her; they scolded the people who was promoting SF’s cause. SF was very angry with RW for undercutting the military and his Treasury Secy and Def Secy not releasing funds for ammunition, helmets and even boots for the troops in Jaffna. Ask him Uvindu. He knows the facts and truth but he is now shamelessly hitched to RW. Thanks for posting this story – we all need to know this. No point in writing things about a dead person. She did what almost anyone anywhere would do. She opted to vote for her son. That is a non-story and not relevant. If you had a child in politics you would root for her or him and vote regardless of party politics. THE STORY is that the siblings backstabbed Rajapakse. Facts are facts. CBK wanted to play God and wanted AB in as candidate. He would have been a disastrous non started, no work, all work and drink Radala patiya. AB would have lost handily to RW.Story is how AB and CBK undercut their own mother in their greed to grab power. The Story is in fact how they did destroy the SLFP and voted AGAINST their party candidate; specially when CBK now shoots her mouth off all the time with “I did this; I did that; I I I ” pathological lies of her’s. What is also really bad and shameful is how AB talked big saying “I am a Bandaranaike, and you have not heard this lion roar” etc and went to his boozing buddy like a pathetic beggar to ask for favors in his government. MR is great about loyalty and love and was very fond of Mrs. B and AB. He hated CBK because of her Machivellian dirty games from the Pada Yatra days to how she worked behind the scenes to sabotage him in 2005. Now that IS A story even if I am not sure you are being ethical by printing off the record conversations. This is not journalism but the real story is not how the mother in her partially demented stage voted for her own son. The story is how the siblings tried to grab power and lost. Rajapakse pleaded and begged for Sunethra to come for his swearing into represent the Bandaranaikes. Her petty arrogant Bourbon ruler pettiness prevented her from making a gesture that would have gone a long way to make life comfortable for them. Anura begged Rajapakse to let him stay in Acland house until he died. He had no shame after talking about roaring like a Lion. CBK madam after backstabbing Rajapakse wanted to have a grand farewell parade. what a farce. As for Nepotism, CBK madam was not bad but she rewarded close relatives. She appointed her uncle as Chairman Tea Board. Her cousin who was written about in the Sunday Leader in 2001 played Pandu at NIC. Her Banda cousin Arjun Deraniyagala was appointed to CEB Chairmanship where he became richer. Her geriatric non diplomat relative was appointed as Ambassador to UN. But she played favorites with people she too a fancy to, or was impressed with or had lust for. Look at the brand new post of Media Advisor for her then special friend:. a pretty boy face of a Sinhala speaking Actor (like her husband who could not converse in English either)who threatened people. Sunethra has always been above the petty politicking and is the smartest most capable one. She is great philanthrophist via the wonderful Sunera Foundation. Her achilles heel again is the intellectual gullibility and becoming easily impressed by big talker so called academic charlatans like Kumar Rupesinghe. Nepotism? That bloody fraud was made NYSC chairman just for being Sirima’s son in law. Nepotism? Sirima ousted a wonderful Peradeniya graduate brilliant MP as SLFP youth leader to install and force them to accept the non-starter always going abroad or watching movies or getting drunk son. Reality is her policies were a mixed bag of goodies that did more harm than good. She was not a Mrs. Gandhi in the sense Mrs. G was groomed to take over. Mrs. B was said to be expected to raise the kids of a gender preference ambiguous man and be a housewife. Where she excelled was having a great team and listening to them on foreign policy. She realized the need for strengthening the Navy by managing to get the Russians to gift a ship. When she went on an official visit, she surprised Brezhnev who asked her what she wanted and she said a warship for the Navy. Even at that time the Navy was the weak link. But everyone knows including her not so fortunate relatives that her economic policies were a disaster. The 3 children had special privileges whilst others including her relatives did not. But she was great in choosing diplomats in contrast to her daughter, Premedasa and above all Rajapakse. She balanced that act well but domestically people were raging having to suffer the food queues, foreign currency restrictions, ban on going abroad to study(except for her kids), nationalizations, press control, landreform etc. You are too young to remember the wet damp brown sugar rations, rice rations, food queues, Haal polus. All this time while her 3 kids were enjoying western lifestyles in France and England. HYPOCRISY is the word. Stop being so enamoured by Radalaya Western aping frauds. She was mistress to postmans son terrorist Nasser Hussian who closed the Suez canal and created the crisis. The rest is your stupid filthy view We lived it to see idiots like rummaging the bins. The bugger died of heart when he realised that he was nothing. He only tested the patience of the west. who has made Oil cheap in the market today?? USA and there is nothing Saudi and Iran can do to match USA Tech Stage 2 shelving. So the US dollar keeps rising. Go eat alla battala manoic and say banda coming soon. you would be in a bakkikaratte in your ambude if not for west. Europeans discovered it and they have the tech. Yours is conspiracy theory to hide illegal wealth made by plunder, looting and murder. How much did the pirates pay you puta?? Guys the fact is this. During the global food crisis and escalating oil prices, she sent two delegations. One led by Maithripala Senanayake to beg in the west for food and aid. He went to West Germany, USA and western allies who were disposed towards him. 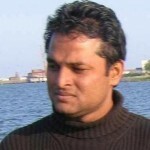 Illangaratne was dispatched to China and other nations. I forget who was sent to Russia for wheat from the then Ukraine SSR too. Anyway it helped in the very short term. If you recall this was the time of radical changes. Temple Trees grounds had Bathala and Manioc. Even at President’s house, they were harping on self reliance and growing manioc. Everyone got into the Maoist like zeal. Pathetic because the staff had to bring their ration cards and get the food just like the President. Except because at that time he was the highest paid executive drawing 25,000 LKR, they were able to get special provisions and also the Nuwara Eliya President’s Mansion with 90 acres of land always had massive areas of vegetables that to this date are grown(british tradition). But it was a terrible period except for the 3 children of Sirima. The fields opposite Independence square had a massive plantation(where there is a walkway now and where there is that building where conferences are held. Probably the Fredrich Ebert Stiftung Foundation area). I know because I used to go with Mangala Moonesinghe, and his then wife and other relatives of Mrs. B to plant Miris, Manggnokka, Bathala etc. in a cooperative scheme. Those were strange days of socialist zeal based on self reliance. If you chaps know your history or were alive back then, you also know in 1982 Hector Kobbekaduwa got more votes from Tamils in the North than JR! WHY? Because of ONIONS AND CHILLIES. But back then the arrogant 3 children of Sirima were not around. They were gallivanting across Europe and smoking, wearing mini skirts, and drinking scotch. Sirima turned a blind eye to this obvious hypocrisy on her part. They NEVER lifted a finger during hardtimes,. It was only later The charlatan Kumar Rupesinghe came with Sunethra and wanted their stupid communist brand of Janaweygaya to grab power. They did these “mao wani sirimavo” crap with “Janaweygaya bihiwey” horse poop. Kumar used to smoke Benson and Hedges and drink. How the hell did he have wealth when we had to smoke Four Aces and Bristol? Bloody goddamn charlatan. Sunethra was so damned gullible about this pretentious intellectual fraud. They used State resources, people and relatives to aggressively pushed the “Janaweygaya” newspaper as a left wing rabid Chinese style newspaper in comparison to the official SLFP newspaper the “Laksiri” something. As for Anura, that is whole new comedy. And for Chandrika madam of who we expected much, less that is said is better about her work ethic, or her intelligence but damn sure she was charming and charismatic and at least on the DEMALA question she and her amazing humanist husband were always consistent. What she lacked was a mute button for her garrulous ways and her pathetic pathological lies and exaggerations(like some of her own sycophantic cousins who she gave jobs such as making them directors of Insurance corporations) she is ethically challenged. Even her older sister used to say this after they fell out over a man. But blood is thicker than water and Rajapakse became their enemy because this upstart gamarala who was 100% loyal to Sirima Madam did not pay obeisance to the children of the Queen B.
Uvindu, if all that was said off the record, you have violated basic journalistic ethics. If you a real journalist with a journalism degree and other pedigree you will also know that to say how a person voted is totally violating their privacy. Why? Is it your caste based Ego and venom? Do you understand the meaning of multiparty democracy?? have you read the Panchatantra or Aesop’s theses are better than political doctrines and are valid to 4000 AD. Banda kolamba malasaniya the movie is for her and you. Voting for one’s son is a natural for a mother whom ever she may be. Especially when the mother knows how much it cost to maintian that son and passing that cost to you and me,mm..mmm…is it nepotism? Uvindu is the epitome of the younger generation. Divulging private and personal conversations and showing no respect for age or dignity of office. What a pity that “youth is wasted on the young” ! emotions trailing a lost humour in flowers fangs. La Mancha eaten munchees biscuit ?? Aesop’s Fables: the king has donkeys ears is valid until 4000AD. Stop playing children’s politics and go to bed idiota and don’t forget to wash your feet.- thats what it means too. Sir Francis Bacon,once famously remarked,Youth and Discretion are Ill-wed companions! Has the advent of the internet allowed any donkey with time on his hands, to be considered seriously ?!! On the other hand it is up to us to consider and reject.